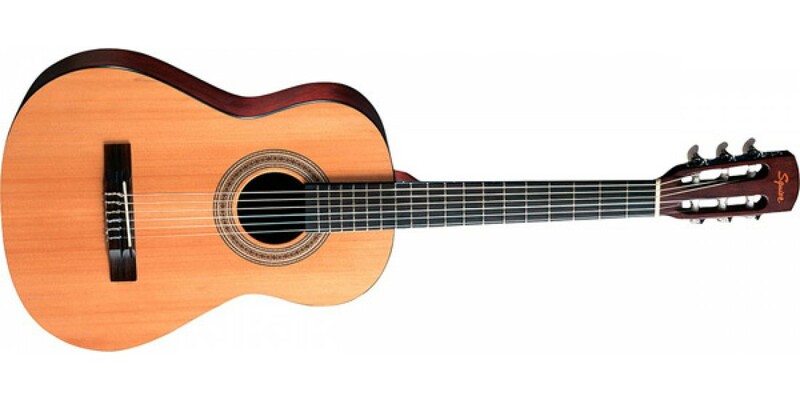 Fender®'s MC-1 is a 3/4-size nylon-string mini classical guitar with the right features, size and price for younger guitarists. These durable mini instruments are made to suit school music program students and beginners who are more comfortable with a smaller guitar. 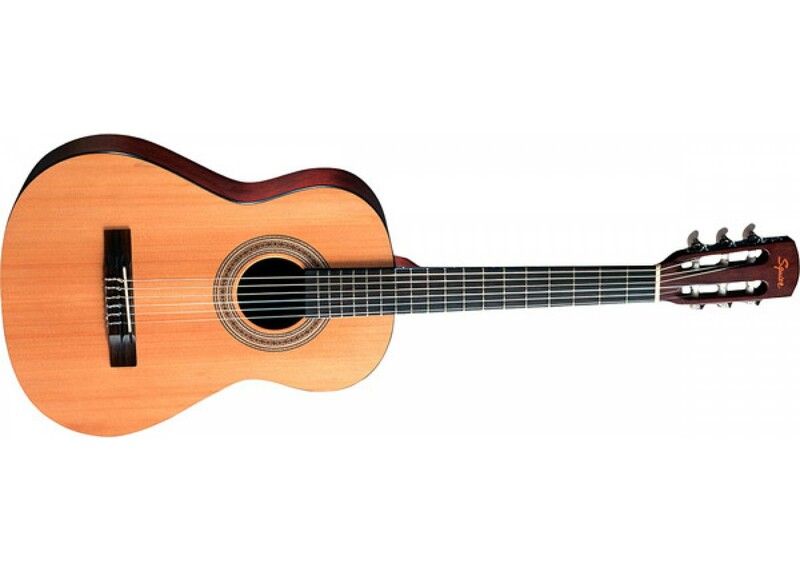 Features agathis top, back and sides with a satin finish, and a rosewood fingerboard.